It seems like a crazy decision by UK voters, but they did it. Britain actually voted by a thin margin to leave the EU. You might be asking what this means for telecommunications and IT infrastructure companies? Uncertainty - In the short term, nothing actually happens except in perception. It will be a two year negotiation, if not more, and in the meantime everything will be as it has been up until yesterday. Everything, except the fact that the future just got extremely foggy. The natural enemy of investment is uncertainty, and thus there is a chance that projects that can be delayed will be. Telefonica is already said to be considering delaying the IPO of Telxius in the wake of the market response to Brexit. Regulatory limbo - On the one hand, the smart thing would be to keep things simple. There doesn't need to be a sudden, sharp regulatory divide between the UK and the European community, and hopefully the politicians will be intelligent not to kick over more hornets nests than they can handle at once. Reclaiming sovereignty by deciding to not to do anything differently than was being done before would be the bright move. However, that assumes rationality, and the Brexit vote was an emotional one not a rational one. Subsea Shifts - How many transatlantic cables go through England to get to Europe? London has long been the gateway hub everything passed through on the way to continental European markets. Lately though, we have seen some activity over on the coast of Ireland, and there's been talk of putting in direct links from those cables to continental Europe, bypassing the UK entirely. We also have Telefonica's new transatlantic cable plans between Spain and Virginia Beach. I'd have to guess those projects just got a big boost if London's position as gateway to Europe erodes. Alternatively, if geography and not politics makes London that hub, then it won't matter as much. Traffic growth doesn't care - Whether Britain leaves the EU or not, people are going to use more and more data, the IoT is coming, and the infrastructure will have to keep up. So to an extent, any changes on the demand side of things will be blips. Below the layer of politics, fiber is still fiber, towers are still towers, and the people building and maintaining them won't do anything differently nor will we need fewer of them to do it. Some of the biggest data center providers in Europe saw that immediate impact of uncertainty in their stock performance right after the referendum’s outcome was announced. Equinix, Digital Realty Trust, and Interxion stock value dropped immediately, and while US-based Equinix and Digital have since recovered – Digital’s stock was actually trading higher than ever in the afterhours on Wednesday – the Netherlands-based Interxion had yet to regain its pre-referendum level. As far as Brexit’s possible long-term impacts, among the chief concerns are potential expenses associated with compliance with whatever new regulations the UK establishes if and when its process of severing from the EU is completed, data center customers adjusting their infrastructure location strategies, the status of data center industry workers in the UK who are EU citizens but who do not have British passports, and whether or not British tech and financial-services industries, both of which have historically been a big source of revenue for data center providers and equipment vendors, will continue to see the same level of investment they have seen in the past. It’s obviously unclear at this point whether all these long-term concerns will turn into real problems and how big those problems will be exactly. Network effects are where a transaction’s value depends on the number of people doing related transactions, and are one of the reasons the IT industry is full of monopolies. Four things need to be said about Brexit and the tech industry. First, the idea that a UK government can “take back control” goes against experience. A UK that makes up 1% of world population and 3% of world GDP has little influence on IT markets; a post-Brexit Britain would have even less. The EU has real clout though. From the viewpoint of Silicon Valley, Brussels is the world’s privacy regulator, since Washington doesn’t care and nobody else is big enough to matter. If you want someone to police the side-effects of network effects and globalization, the European Commission is just about the only sheriff in town. Second, privacy and data protection will be a test case. Margaret Thatcher brought in the first Data Protection Act because without it UK companies would not have been able to process personal data on Europeans, so London banks would not have been able to use their UK data centers to maintain account information on customers in Germany. The Safe Harbour provision, which let US companies pretend to be European, was struck down by the European Court as it gave citizens no real redress. The US is scrambling to put together a replacement, but is hitting heavy weather; an England on its own would be in a much weaker position. The IT and telecom industries have lobbied heavily over the past 15 years against creeping extension of copyright rules; in the non-government organization world, we set up European Digital Rights to coordinate lobbying in Brussels, as European institutions are the only real counterweight to the copyright lobby. An alliance of the free software movement, the telcos, car parts makers, generic drugmakers and consumer groups drastically amended the IP Enforcement Directive a dozen years ago; the key moment was when Microsoft decided it didn’t want patent infringement to be a crime in every country in Europe, and swapped sides. That’s how the game of international trade regulation is played. Sure, the many international treaties that affect our trade can be obstructive and sometimes infuriating; they are the negative network externalities of the information age. But the Brexit idea that Britain could simply press a magic button and ignore all this “red tape” is deluded. The third point follows – Brexit will make UK tech startups more expensive. The need to comply with EU privacy law will hobble startups that serve consumers directly. Startups that sell to businesses already find their initial customers are usually among US firms rather than in Britain, so they need an American sales office from day one. And perhaps they’ll have to keep more of their development staff overseas if visas become harder to get. A PhD student of mine had to turn his thesis into a startup in Seoul, with a sales office in Vancouver, when the Home Office wouldn’t give him the visas. This can only get worse if there is a Brexit vote. Startup costs matter even more in tech because of network effects. When a new market opens up, there’s often a market race where the winner takes all – and the winner is often the first firm to get network effects running in its favor. 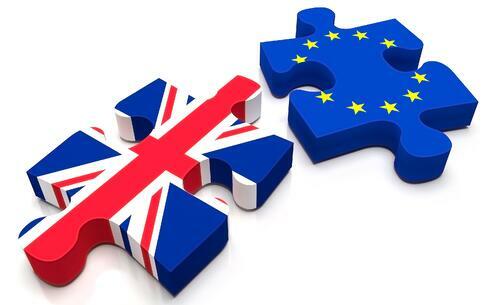 Here's a speculative stab at a few Brexit scenarios and how they may impact large cloud providers such as Amazon Web Services, Microsoft Azure, Google Cloud Platform and IBM. U.K. data center plans by large cloud providers may go on hold. U.S. cloud providers are building out data centers in the European Union as well as the U.K. Now that the U.K. has decided to leave the EU there will be new laws and regulations in place for cloud providers. Any plans to build data centers in the U.K. could be paused. AWS and Microsoft Azure have facilities in Ireland. Azure is also in Amsterdam and has to-be-announced plans to build two cloud centers in the U.K. AWS runs out of Frankfurt, Germany too. New regulations add costs to cloud providers and they're likely to double down in Ireland now and choose to expand in Germany. Ireland becomes the cloud lifeboat for all that spending that would have gone to the U.K. The Brexit simply makes Ireland a better country to carry out financial services and technology. Ireland also becomes the hub for Western European cloud operations. Brexit creates a mass exodus from the EU as other nations leave and the cloud landscape becomes much more complicated. The Euro disappears and local currencies take over. Reports after the U.K. exit from the EU noted that Scotland was thinking about leaving the U.K. and pols in other EU countries were pushing for votes on whether they should stay or go. It's far too early to predict that the EU would dissolve, but the implications for scale-out cloud providers would be huge. The end of the EU would happen in slow motion. After all, any country would wait to see what happened to the U.K. before creating a referendum. If you are up for one more, from TechRebuplic - 5 Ways the UK Leaving the EU Will Affect Tech Firms. The bottom line is that there is a fair amount of uncertainty around the Brexit decision. We will all just have to wait and see how it all plays out. In the meantime, business as usual.